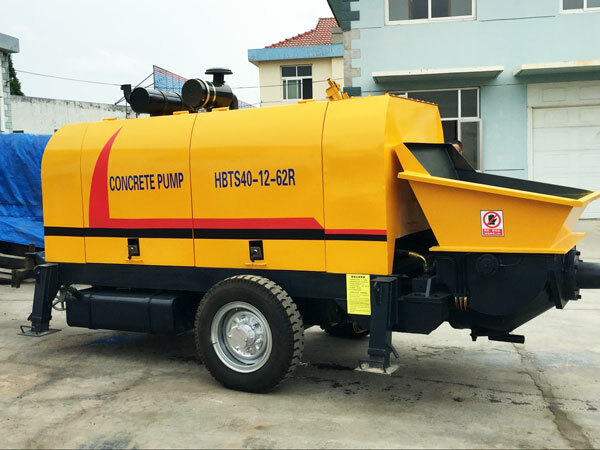 Diesel concrete pump is a main kind of construction machinery in the course of commercial concrete transportation and deposition. It is motivated by diesel engine. By using it, concrete can be piped along the pipe to the pouring site. It consists of pumping body and conveying pipes. It usually appears in the construction of high buildings, bridges, high speed, tunnels and water conservancy projects, etc. 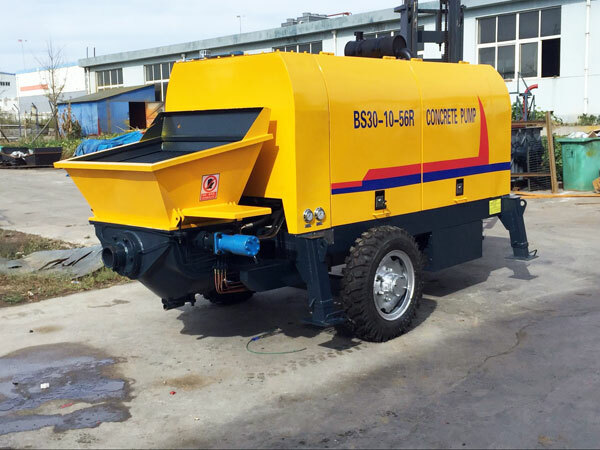 Especially in some remote areas where electric power are not widely used, our diesel concrete mixer pump is a great choice. Our diesel concrete pump was ready to Vietnam last month. Our old customers choose to purchase from us again. He owned several construction projects in Vietnem. 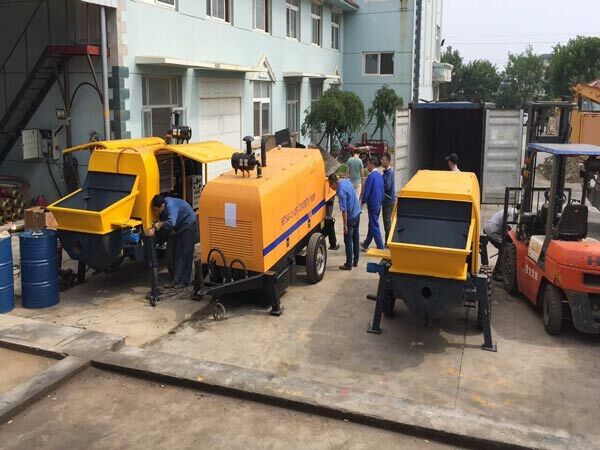 Therefore, this time he decided to purchase three diesel concrete pumps, including diesel trailer concrete pump and diesel concrete mixer pump. He was so trusted us that he made orders directly. 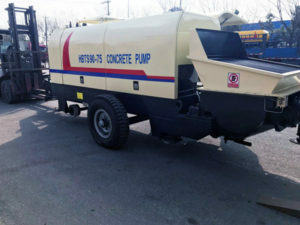 He thought highly of our concrete pumps for sale, which has played an important role in construction sites. There are so many construction projeces in Vietnam, therefore, he promised that he also would need all kinds of construction machine which would purchase from us. 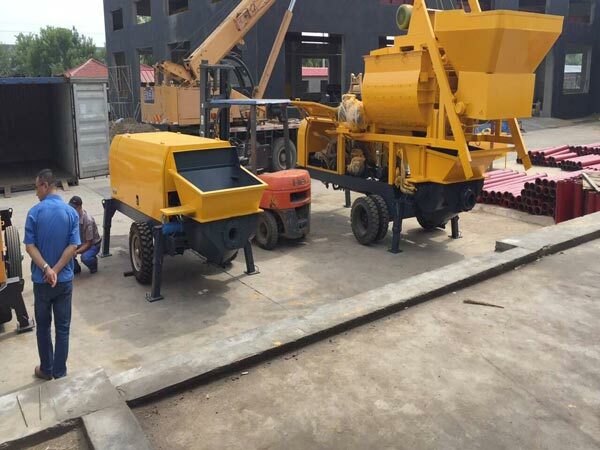 Here are several pictures before diesel concrete pumps delivered to Vietnam. There are five types of diesel pumps according to Max. theoretical throughput, includes diesel mini pump, diesel small concrete pump, diesel middle pump, large diesel pump and ultra-large diesel pump. Usually small diesel pump or middle diesel pump can meet the demand of most projects. 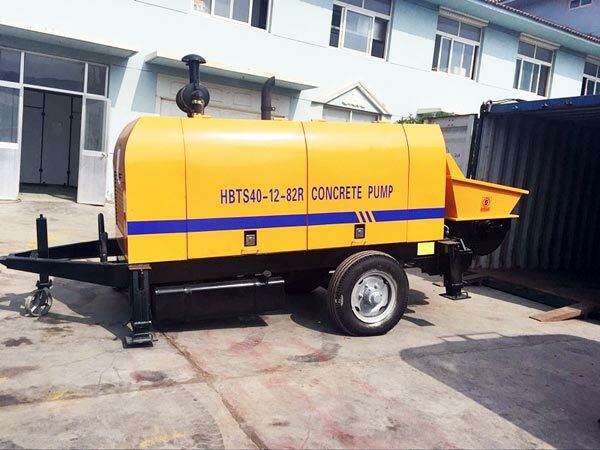 Due to the movement, there are stationary concrete pump for sale and mobile concrete pump. 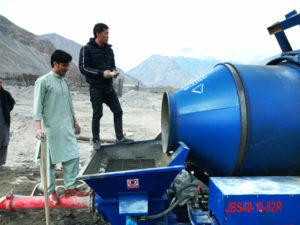 More inportantly, we also have diesel concrete mixer pump for sale. You can choose some satisfying types according to the following proper parameters. 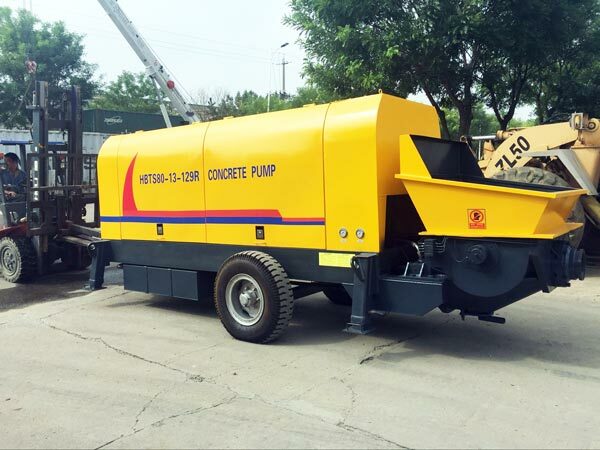 Concrete pump with diesel engine includes mechanical system, cooling system, lubrication system and so on. 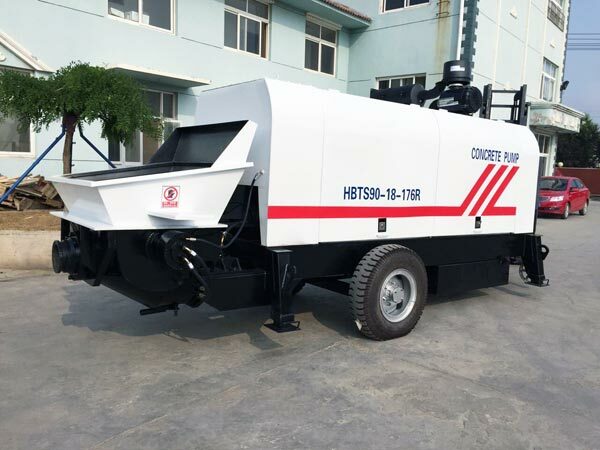 The mechanical system consists of pumping system, main power system, hydraulic oil tank, chassis frame body, the axle and guide wheels. Our cooling system adopts wind cooling system, including water tank, hydraulic motor, fan and the hose. Its function is to adjust hydraulic fluid temperature. 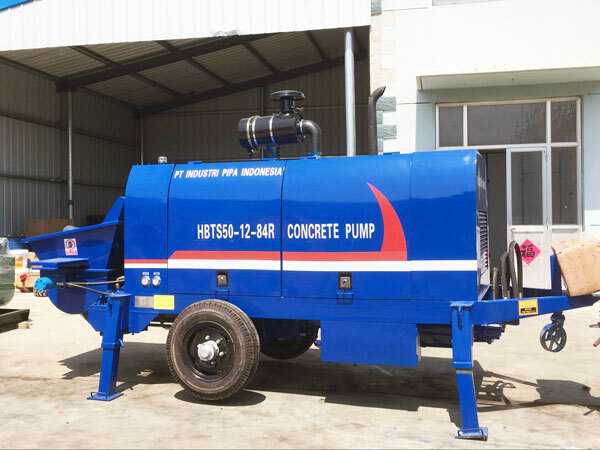 Besides, lubrication system is also an unique part in diesel concrete pump, whose main function is to lubricate some parts and prevent concrete or mortar getting into those moving parts during the whole mechanical movement. Among them, pumping system, which belongs to mechanical system, is the core system. It consists of five key parts: the hopper, the S valve, concrete conveying cylinder, water tank and main oil cylinder. The hopper, welded by steel plates, is used for storing concrete to make sure the normal process of feeding. The valve connects the hopper and water tank, in which there are two concrete pistons. Water tank is the place to store water, and it is an important connector for main oil cylinder and concrete conveying cylinder. The last part is main oil cylinder. It is plated with hard chromium on the surface in order to avoid rusting. When the pumping system starts working, with the influence of main oil cylinder, concrete pistons begin to move. Meanwhile, the S valve start to swing in accord with the movement of concrete pistons. By connecting conveying pipe with conveying cylinder in turn, the process of pumping is completed. And then it starts next circulation. 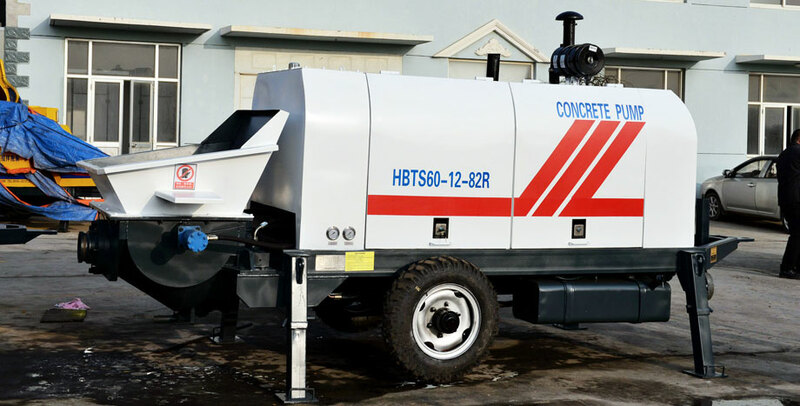 Here are advantages of Aimix’s diesel concrete pump for sale. Most of them are trailer pumps. 1. It uses the dual pump and dual circuit open hydraulic system. To be more specific, the oil circuit of main pumping and the oil circuit of S valve’s swing are independent. 2. It has the function of pumping of reverse state. It is helpful for trouble clearing in time and stopping to wait materials for a short while. 3. It uses advanced S valve, which can compensate wear clearance automatically and get a great sealing performance. Usually diesel concrete pump’s valves include the S valve, gate valve, petticoat valve, C valve, and butterfly valve. Among them the S valve are frequently and widely used on account of its great performance, which is exactly what we use. 4. The wear plate and wear ring are made of hard alloy, thus the service life of wear plate and wear ring is extended. The wear plate and wear ring are important parts which installed in the S valve. They have to endure a great impact once the diesel concrete pump starts working. Thus our high-quality wear plate and wear ring ensures the machine run properly as long as possible. 5. It owns the automatic centralized lubrication system, which ensures enough and effective lubrication during the whole running process. 6. It owns the function of remote automatic control , which is more convenient and safe for operation. 7. All parts conform to national standards, thus it is easy to find out their substitutions. 8. The cooling system is really powerful to ensure that hydraulic system is always in a normal state. Finally, our diesel engine trailer concrete pump has passed BV and ISO09001 International Quality System Certification and the mining concrete pumps have passed the Safety Certificate of Approval for Mining Products. They got an excellent reputation. 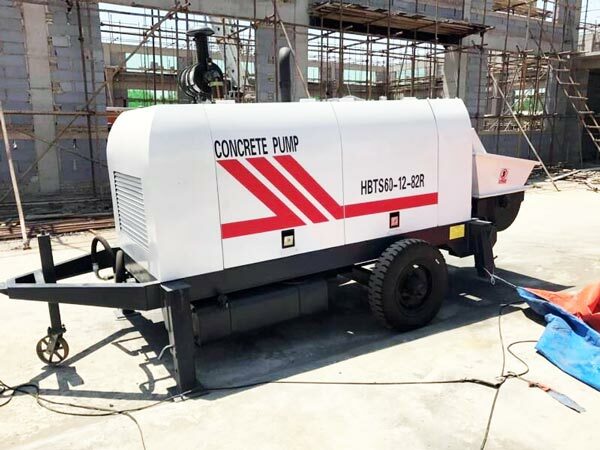 Except from diesel concrete pump, there is diesel concrete pump with mixer for sale, which meets demand of mixing and pumping at the same time. If you are interested in our products, please contact us.